Our favorite couple contacted us again. Seems that their romance is blossoming even further these days. Axel and Jerry came to New Orleans to appear as a musical act on one of the floats during Mardi Gras. After their concert, the two went back up to their room, stood on the balcony and took in all the magic that New Orleans had to offer. 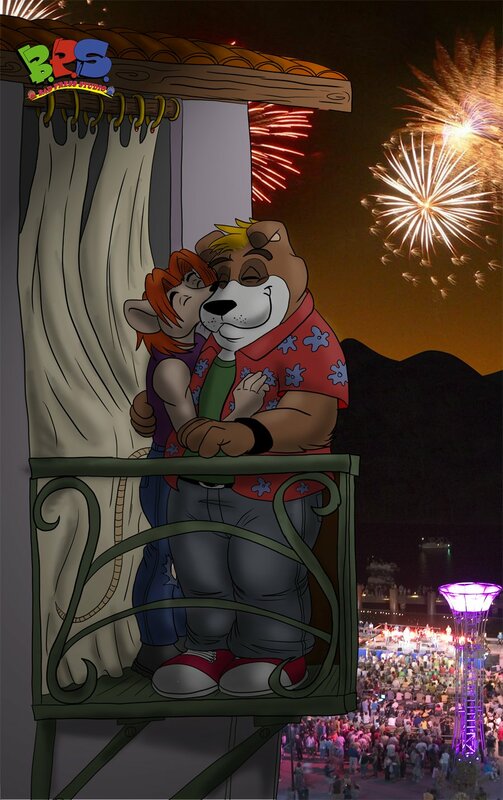 Let's just say, fireworks weren't just happening in the sky that night. From what we understand, Axel got the nerve up to ask young Jerry for his hand in marriage.. well, from this intimate pic, I think we know the answer.